The best science fiction stories do more than entertain us with big budget starships or creep us out with freaky aliens. While they entertain and entrance, they also use the fantastic elements of a sci-fi story as tools to create a compelling look at our own modern reality. They make us think about our own time and place. This willingness to employ science fiction to tackle bigger issues turns a special effects-laden blockbuster into a masterpiece. Last year saw two science fiction films featuring young protagonists dealing with extraterrestrial invasions. Both films offer amazing performances, especially from young actors, accompanied by great action, breathtaking monsters and brilliant directing. The purpose of this essay is not to dissect the movies as better critics have already had their say on both Super 8 and Attack the Block. Rather, let’s talk about the cinematic worlds that each movie created and see if there are differences between the overall premises and emotional value of each film. Finally, let’s explore how, like all good sci-fi, Super 8 and Attack the Block have a purpose beyond giving us a monster movie’s thrills and chills. JJ Abrams’ Super 8 came out on June 1st and featured the story of a nice kid named Joe Lamb (played by actor Joel Courtney) and his friends, experiencing the arrival of a vicious non-human being in their American small town while making a zombie movie in the summer of ‘79. Joe Cornish’s Attack the Block was released in the United States on July 29th and features an aspiring young street thug named Moses (played by actor John Boyega). His gang of juvenile delinquents tries to survive an alien attack on their council estate in modern, lower-class London. In a nut shell, Super 8 brings on the nostalgia for the past, while Attack the Block deals with unease in the present. 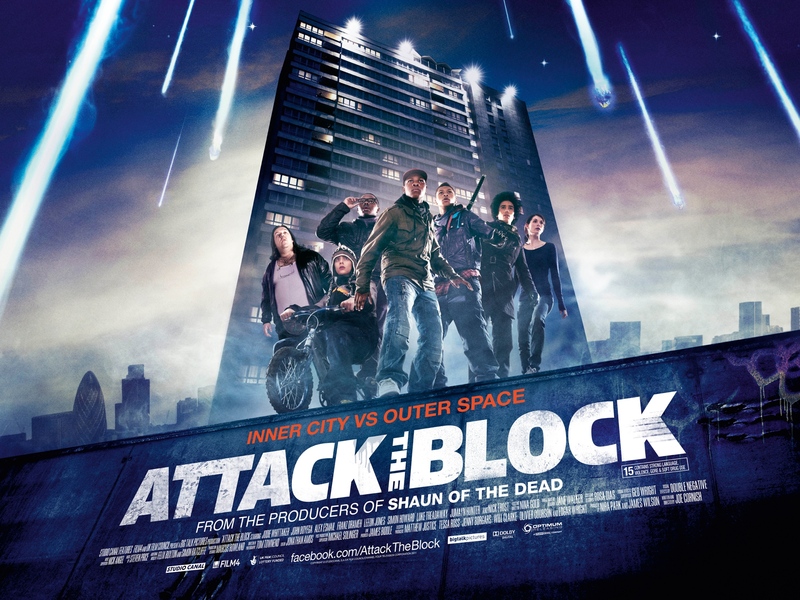 At first glance, Super 8 and Attack the Block are very similar. They both deal with a bunch of youngsters taking on a monstrous threat. They both owe a lot to Steven Spielberg’s films, complete with kids riding around on bikes. They both have unflattering portrayals of the government – whether it’s the mysterious military occupiers of Super 8 or the blundering, swarming ‘Feds’ of Attack the Block. They both even have their young protagonists use specialized slang – like ‘mint’ in Super 8 and countless examples of lower class London vernacular in Attack the Block. Finally, each does a good job of capturing the strange feeling of adolescence in a changing, unsure world. Super 8 is all about a fond remembrance of childhood and the past. The 1979 it depicts is not free from trouble, but the troubles can always take a backseat to creativity. And that creativity is in full bloom. The kids are watching zombie flicks by George Romero, learning make-up from movie magazines and generally indulging their inner Tom Savini by making a film of their own. And so when danger arrives, it’s not even a big deal – it’s an opportunity to add a touch of big budget production to their movie. That’s not to say there are no conflicts. Presence of a mysterious alien and occupying troops cause their share of problems for all the characters. There is inner turmoil as well, with a young romance for Joe and his changing relationship with his friends. But for the children, all of these travails are youthful and innocent. They’re charming, reminding of the gawky nervousness we all have had in our pasts. The world itself is full of wonder and an overall feeling that if you try hard – and are artistically-minded – everything will work out all right. You get a few hints of a larger American paranoia, but not many. If we take a quick look at history, we can see that 1979 wasn’t exactly a great time for America. Watergate, the Cold War, racism, riots and Vietnam – all of that loomed large in the national consciousness. George Romero’s 1978 Dawn of the Dead – a film which is referenced by the young filmmakers of Super 8 – perfectly embodies that turmoil. But you wouldn’t get an idea of it when you’re watching Super 8. There’s maybe a mention of the USSR from a housewife at a town meeting, which is played for laughs and Vietnam is used by the kids as a handy bit of back story for their movie. That’s about it. Director J.J. Abrams isn’t putting a turbulent time of American history under a microscope. But then again, that’s not his purpose with Super 8. He’s trying to capture a sense of wonder and youthful exuberance, aspirations and fears in the film. Overall, Super 8 is about nostalgia. Because of that, its emotional charge is almost an exact opposite of Attack the Block. The London Riots occurred in August soon after Attack the Block had been released. Whether Attack the Block could be called prophetic or not, it perfectly captures the torment and distress caused by poverty in the more disadvantaged areas of London. That Attack the Block manages to do this while telling a compelling creature feature story, being frequently hilarious and showing the journey of its main character is nothing less than a triumph. Attack the Block isn’t set in a dream world of adolescent longing and artistic experiments. The world in the movie reflects the cold reality of our own – bleak, cruel and sad. And even with all that, Attack the Block still lets you know that there’s room for saving the day and the possibility of change. Before the aliens show up, the setting of Attack the Block is far from being a pleasant place. Bonfire Night, fireworks and smoke make it look like a war zone. The first thing we see is a mugging at the hands of Moses and his aspiring thugs. Moses and his friends live in the world where the law is unfriendly and is therefore feared. With no chance of outside help, survival is a matter of trust in one’s friends. They’ve got no time to be creative and can only vaguely experience adolescent love. One particular line perfectly sums up fear created by this environment. When members of his gang are speculating on the origin of the extraterrestrials, Moses suggests that the government engineered the beasts to kill ‘Black boys.’ This conjecture is similar to conspiracy theories blaming the US government for creating the AIDS virus or bringing crack cocaine to America to kill off disadvantaged Black people. The theories are a symptom of the hate and mistrust for a system that has failed. The system doesn’t work in Attack the Block either and the kids and their few allies are on their own. The film’s ending is built on hope. Moses must learn responsibility and team-up with those he and his friends previously distrusted, if any of them are to avoid death and save the Block. The friendships forged while facing the alien attack are more than just a union against a common enemy. The companionship of these characters of varied races and classes show that differences can be overcome in the pursuit of heroism. Last year was a good season for science fiction movies. There were many entertaining ones and a few that really stood out. Attack the Block and Super 8 are going to be in the latter category. This evaluation isn’t coming from a film expert, but from someone who does his best to understand a deeper meaning in fiction. The impact of Super 8 and Attack the Block goes far beyond the simple thrills of sci-fi action. These two films hold up a skewed mirror and let us have a good look at our reflections while still telling a compelling story. Super 8 is nostalgic and Attack the Block is nearly prescient, but both of them have the piercing insight that has always been the hallmark of good science fiction. Michael Panush ©2012. All rights reserved. Courtesy CSReview ©2012. Twenty-Two years old, Michael Panush has distinguished himself as one of Sacramento’s most promising young writers. Michael has published numerous short stories in a variety of e-zines including: AuroraWolf, Demon Minds, Fantastic Horror, Dark Fire Fiction, Aphelion, Horrorbound, Fantasy Gazetteer, Demonic Tome, Tiny Globule, and Defenestration. He currently attends UC Santa Cruz. Michael began telling stories when he was only nine years old. He won first place in the Sacramento Storyteller’s Guild “Liar’s Contest” in 2002 and was a finalist in the National Youth Storytelling Olympics in 2003. In 2007, Michael was selected as a California Art’s Scholar and attended the Innerspark Summer Writing Program at the CalArts Institute. 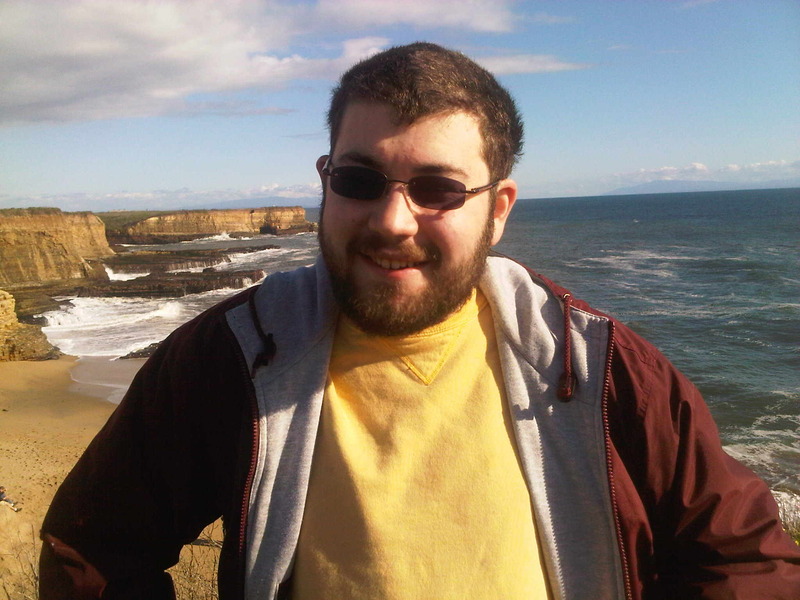 He graduated from John F. Kennedy High School in 2008 and currently attends UC Santa Cruz. This post is part of the Curiosity Quills Blog Tour 2012. Curiosity Quills is a gaggle of literary marauders with a bone to grind and not enough time for revisions – a collective, creating together, supporting each other, and putting out the best darn tootin’ words this side of Google. Curiosity Quills also runs Curiosity Quills Press, an independent publisher committed to bringing top-quality fiction to the wider world. They publish in ebook, print, as well as serialising select works of their published authors for free on the press’s website.